Established in 1980, B.A. Ramirez & Sons Ornamental Iron Works, Inc. has over three decades of iron work experience and thousands of satisfied clients, making us one of San Diego's premier iron fabricators. We specialize in making custom-design iron fencing, gates, railings, handrails, guardrails, doors, and window guards. We are committed to providing home and business owners with exceptional iron work services at highly cost-effective prices. 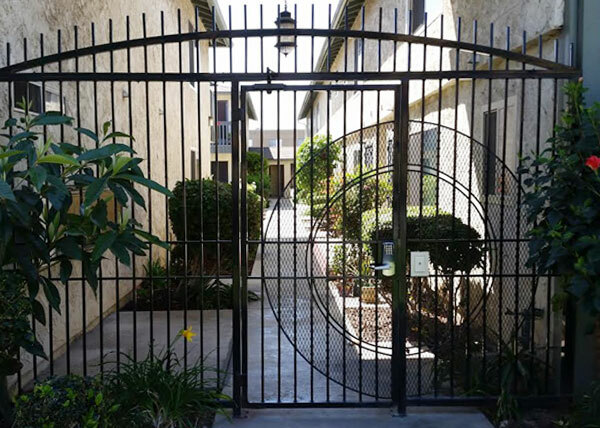 Over the years, we have have installed ornamental and wrought iron fences, gates, railings, window guards, and doors for businesses, industrial complexes, residential communities, apartment complexes, condominiums, parks, schools, and residential homes throughout San Diego County, including Imperial Beach and surrounding areas. At B.A. Ramirez & Sons Ornamental Iron Works, Inc., our skilled, experienced craftsmen perform all iron fabrication, installation, replacement, and repairs to the highest professional standards, and customize each of our iron fences, rails, gates, doors, and window guards in Imperial Beach to each customer's budget, functional needs, and desired look. Additionally, we provide excellent customer service and stand behind our work with excellent product warranties. We are fully licensed, insured, and bonded, and our iron work services comply with all pertinent homeowners associations CC&Rs, municipal building codes, and ADA standards. Call B.A. Ramirez & Sons Ornamental Iron Works, Inc. today and let our masterfully crafted, precision-installed ironwork add beauty, functionality, and value to your Imperial Beach business or home. We provide our design consultations and online estimates at no charge. At B.A. 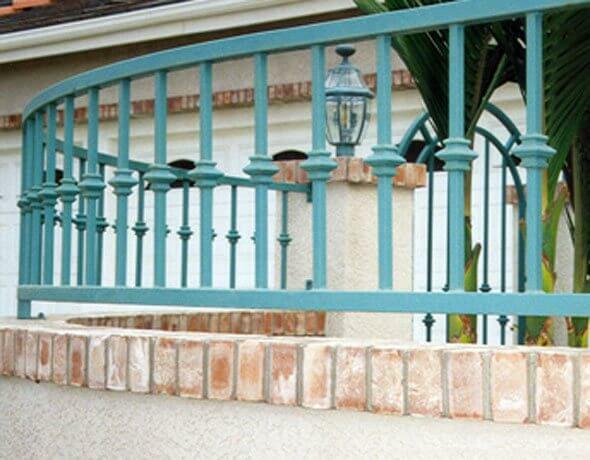 Ramirez & Sons Ornamental Iron Works, Inc., we have decades of experience providing Imperial Beach business owners with durable, functional, and attractive ironwork at cost-effective rates. Our commercial iron work can include iron security screen doors, perimeter fencing, enclosures, railings, guardrails, handrails, window guards, and gates. Whatever your needs, our experienced iron work professionals will work closely with you to design the perfect iron railing, fencing, door or window guard for your Imperial Beach commercial or industrial property. You can choose from tubular or solid steel, intricate casted iron designs, privacy-enhancing backings, powdercoat finishes in an array of colors, state-of-the-art hardware, such as handles, levers, and latches, and access control systems, such as keypads, telephone-based entry systems, and more. Call us today and learn more about our strong, elegant, and cost-effective commercial fences, gates, railings, handrails, guardrails, window bars, and doors for Imperial Beach. At B.A. Ramirez & Sons Ornamental Iron Works, we custom build iron fences, railings, gates, doors, and window guards for residential properties in the Imperial Beach area. By working with us, you can trust that you'll get beautiful, lasting results at a great price. We boast a team of knowledgeable and highly experienced ironworkers who are experts in working with tubular and solid iron. They apply Old World hand forging techniques to form and shape each iron piece and use the industry's leading welding practices to integrate decorative casted iron elements. Each piece is custom designed to client specifications and metalized, galvanized, or powder coat finished to protect it against rust. 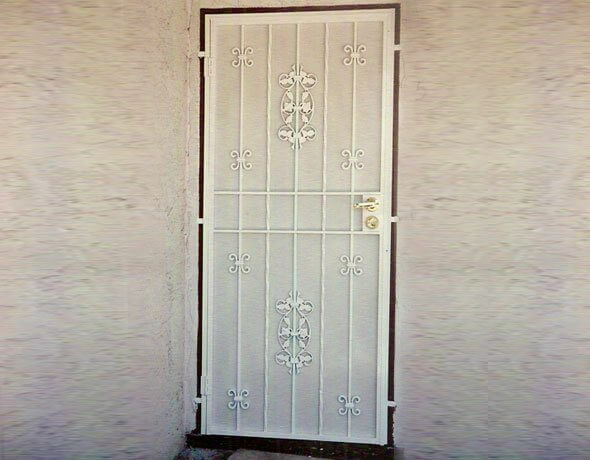 By offering our ironwork services at fair prices with fast turnaround times and dedicated customer service, we are Imperial Beach's best choice for residential fences, gates, doors, window guards, and railings. When you choose B.A. Ramirez & Sons Ornamental Iron Works, Inc. to build and install your new or replacement fence, you are certain to be delighted by our expert craftsmanship, personalized customer service, and competitive prices. 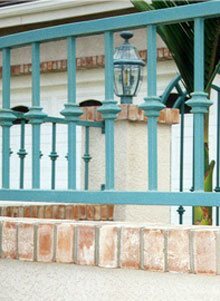 In business since 1980, we have the experience to customize our Imperial Beach iron fences so that they perfectly suit each customer's budget, functional needs, and aesthetic tastes. The majority of our iron fabricators and installers have 40-50 years of experience. Their fences are seen throughout Imperial Beach and are ideal for controlling access to homes, businesses, pools, and other areas. An iron fence can be designed to look elegant (e.g. hammered pickets with ornate designs between rails) or intimidating (e.g. tall smooth pickets topped with sharp spears), according to your needs and application. These fences can be wall mounted or combined with wood or masonry, and installed with a matching gate. At B.A. Ramirez & Sons Ornamental Iron Works, Inc., we also offer Imperial Beach customers repairs on all types of iron fences. Whether your fence or gate has been damaged after being hit by a car or a few pickets adjacent to your sprinklers have become rusted out, our experienced, expert craftsmen will complete the necessary repairs at an affordable price. Please call us today for a free online estimate on our fence repair, installation, and replacement services for your Imperial Beach home or business. B.A. Ramirez & Sons Ornamental Iron Works, Inc. can custom-design, fabricate, and install the perfect railing for your needs in Imperial Beach. 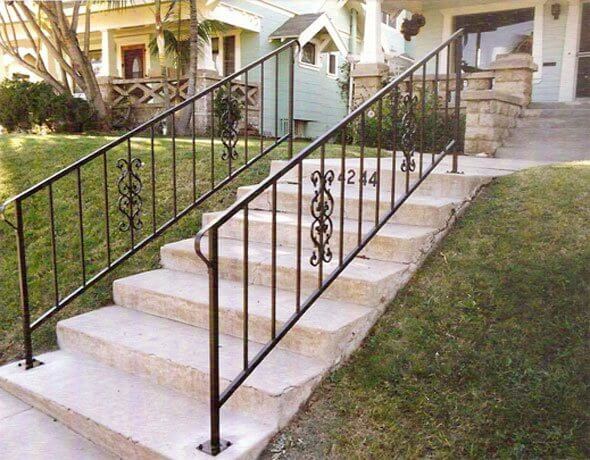 We're able to craft railings in any size and style and for any application. 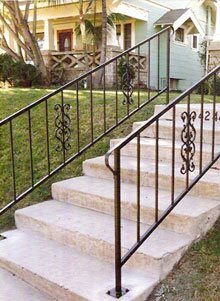 Our highly trained ironworkers have decades of experience building decorative and wrought iron railings for wrap around, spiral, circular, and rounded stairways, handrails that are ADA-compliant, and protective guardrails for walkways. These railings, handrails, and guardrails are all fully customizable and can range from the strictly functional to highly ornate. Options include solid or tubular iron, flowing scrollwork or ornate balusters with baskets, knobs, or knuckles, hundreds of powder coat colors, and galvanized or metalized coatings. Call us today to install an iron railing at your Imperial Beach home or business. If you are looking to install window bars, screen doors, and/or enclosures in Imperial Beach that are both decorative and effective at improving the security of your home or business, then work with the ironwork experts at B.A. 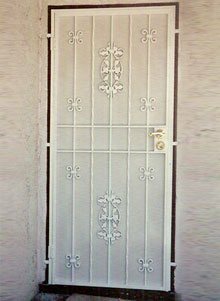 Ramirez & Sons Ornamental Iron Works, Inc.. Our iron window guards and doors are designed to deter burglars and keep out unwanted intruders and reflect your specific aesthetics. Available at competitive prices, our attractive iron security windows feature quick release mechanisms for fire safety and our doors can be installed within door frames of any size or shape or a few feet away from the door as part of an enclosure. Doors and decorative iron enclosures can also feature an intercom or telephone entry system that lets you control access through your landline or smartphone. B.A. 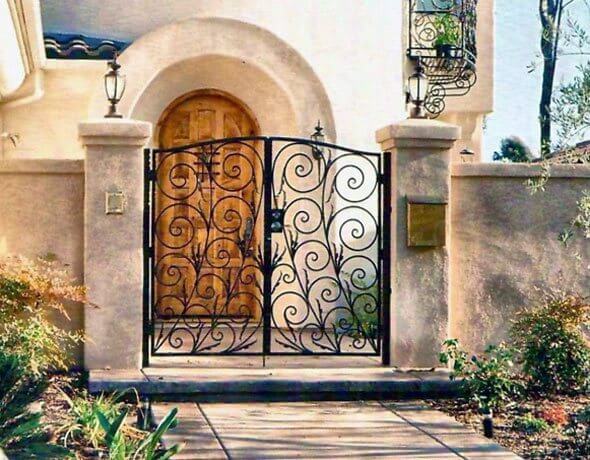 Ramirez & Sons Ornamental Iron Works, Inc. is known throughout San Diego County for our custom iron gates. From the quality of our workmanship to our competitive rates, our clients know we provide unbeatable value. 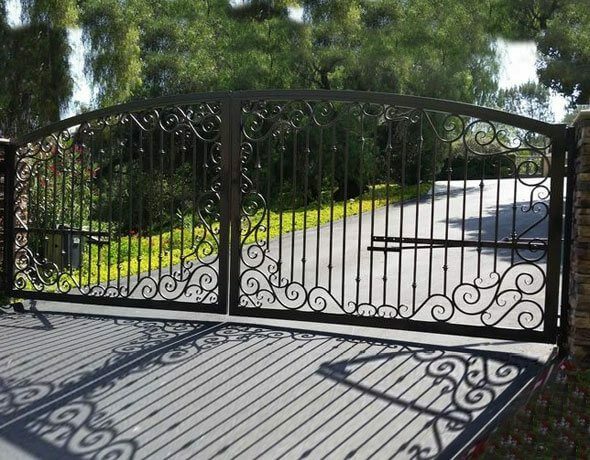 For Imperial Beach home and business owners, our experienced iron work professionals will design, craft, and install a fully customized iron gate for your needs. We can build small, simple gates for the side of your building to large, highly ornate motorized gates to control access for a residential community. 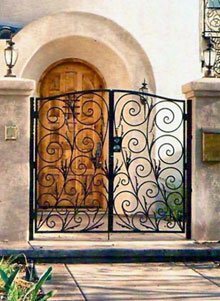 Our ornamental and wrought iron gates can be made hand-forged out of solid or tubular iron and feature pickets, scrolls, spikes, initials, vines, leaves, and more. We can also install quality hardware, motorized gate openers for sliding or swinging gates, and access control systems, such as card readers, intercoms, and more. B.A. 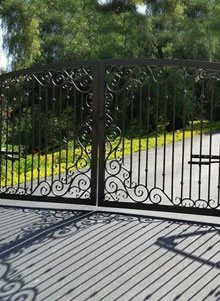 Ramirez & Sons Ornamental Iron Works is Imperial Beach's best value for automatic/motorized iron gates. Our automatic gates feature our custom ironwork and brand name gate operator systems, such as those offered by Elite, LiftMaster, DoorKing, Linear, RamSet, and All-O-Matic. These gates can open automatically as you approach or be programmed to only open with a keypad, phone call, or remote control. For our motorized gates, we usually recommend two safety features that ensure your gate will not damage property or entrap children or adults. We can also install an Opticom Rapid Access Device, which causes the gate to open automatically when emergency vehicles approach. Call today to learn more. Free automatic gate installation consultations are available anywhere in Imperial Beach. Call B.A. Ramirez & Sons Ornamental Iron Works, Inc. today. You'll always work with skilled and experienced professionals who are dedicated to customer satisfaction. We'll work with you throughout the design development process, remain accessible throughout the duration of the project, and provide update on our progress. To get started, schedule a consultation. D6 B.A. Ramirez completed a commercial security gate installation in Imperial Beach, CA. This steel gate is designed for access security. The gate is made with a 1.5'' steel tube frame and a 2'' jamb was added for strength. Expanded metal backing was attached for added security at the lock area. D21 This is a simple style security screen door we installed in Imperial Beach, CA. The steel door is made using a thick wall 1" x 1" x .090" square tube frame and 1/2" solid steel pickets. The scroll designs are 3/16" x 1/2" flat bar. The perforated metal screen is 20 gauge material. 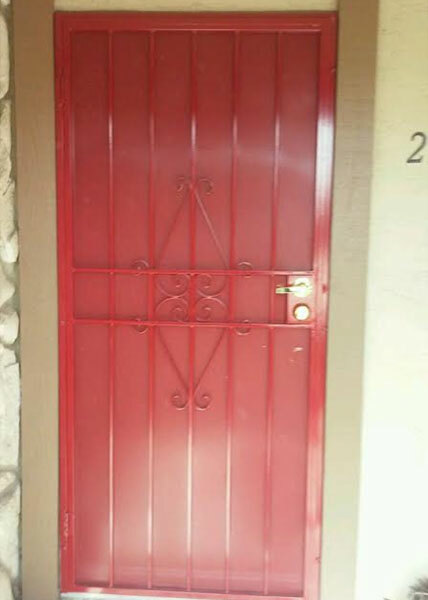 The door is coated with zinc primer and a red powder coat paint finish. G41 This gate has a 1.5" steel tube frame that has wood backing attached. 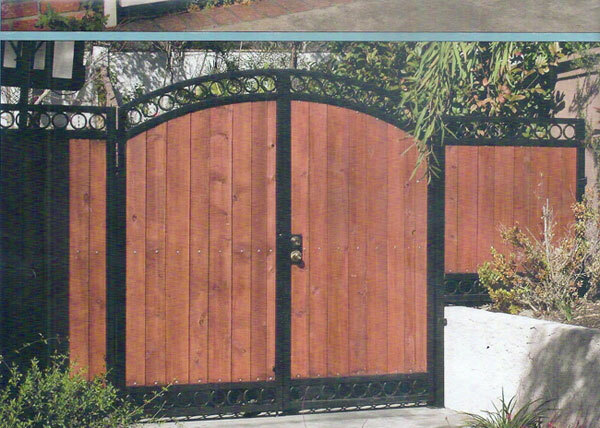 The steel frame will not sag and the wood adds a country look for the gate that was installed in Imperial Beach CA.